Singular facilitator and consultant, sui generis strategist, insightful behaviorist. 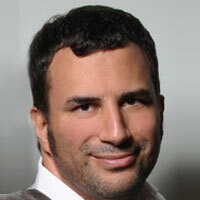 Ernesto is the presumed founder & leader of Provocative. He has contributed in developing varied capabilities for enterprises, institutions and individuals in Europe, the U.S. and Latin America. And has collaborated directly in global, regional or local projects for companies like: P&G, The Coca-Cola Company, Frito-Lay, DHL, Ralston Purina, et al. Ernesto likes to be engaged in uncommon initiatives ranging from consulting & entrepreneurship to academia & non-profit. He is a certified trainer of Business Model Innovation by Alex Osterwalder's Strategyzer® and is a train-the-trainers of The Birkman Method®. He speaks fluent English & Spanish and conversational Italian.